Shirt Info: Mens/Unisex are screen printed on soft and comfortable American Apparel 2001. Ladies shirts are printed on Amerian Apparel 2102 or Gildan Softstyle (G64000L)! 3XL and 4XL may be printed on Hanes or Gildan due to availability. 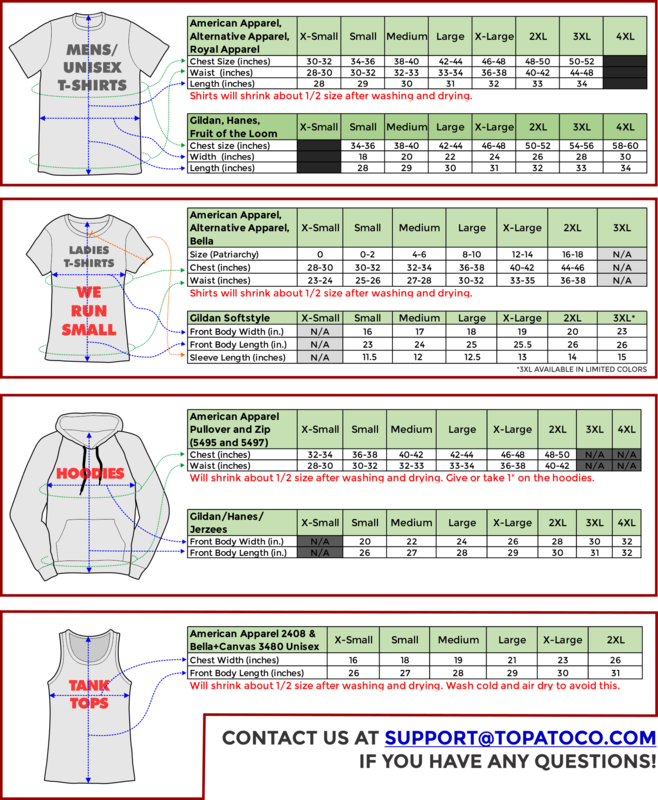 See sizing information first, especially if you haven't ordered American Apparel before!